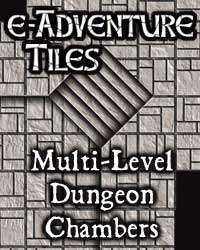 e-Adventure Tiles: Multi-Level Dungeon Chambers adds depth to your subterranean adventures with linkable ledges and stairways. This 50 tile set contains enough tiles to build a sprawling dungeon complex that will add a new dimension to combat and provide many opportunities for characters to use their non-combat skills while exploring. 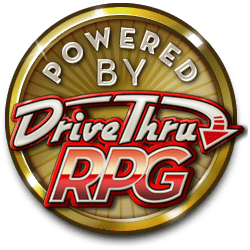 Characters beware; the potential for falling damage in these dungeons is high. This super-sized set contains twice the tiles of our regular sets for only $1.00 more. e-Adventure Tiles are designed for use in your favorite miniatures games and RPGs by industry cartographer Edward Bourelle. This title was added to our catalog on January 11, 2005.